India is a country that evokes images of rich culture, crowded bazars, smiling strangers and 1001 temples. Fascinating, foreign ... and potentially daunting for a first time visitor. After years of requests from Krishna Village guests to offer a guided tour to India, we have finally found a team of awesome, reliable friends to entrust our guests to: Tara Das and Mukesh from Bohemian Tours. 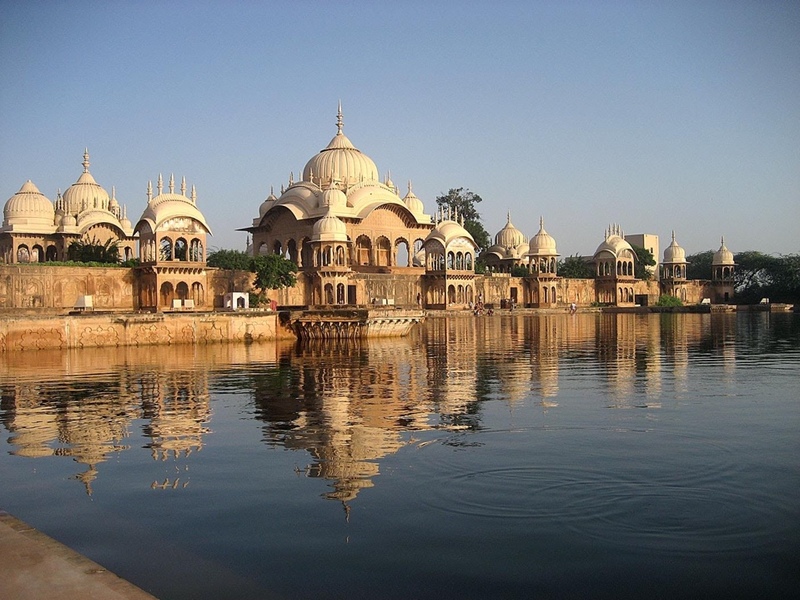 They live, love and breathe all things India and have introduced thousands of guests to this magical land. So join in for the ride - you'll be in excellent hands and will have the experience of a lifetime!! Originally from the USA, Tara Das first visited India 30 years ago and knew he would make it his home. In 1998 he shifted over to teach in a local school and eventually moved with his family to a small Bengali village seven years ago. He started Bohemian Tours in 2011 to allow Westerners to experience India and Nepal in an inspiringly authentic way. Tara’s main reward is to see how people transform when they connect with the ancient, mystical, cultural traditions and experience the power of the Himalayas. With over 12 years of experience in leading international groups throughout India, Mukesh is the favorite of all. More than a guide, he becomes a real friend to all visitors. 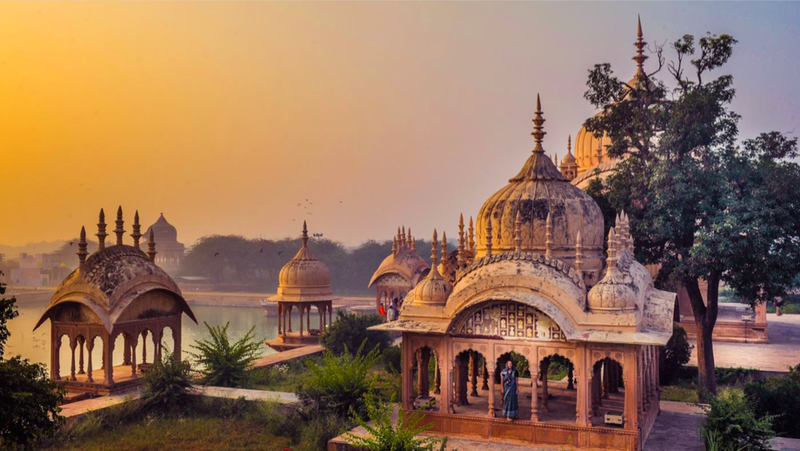 Residing in Udaipur, “the Venice of the East”, with his big hearted wife Chancal he looks forward to the visiting season when he can again connect with guests and inspire them to fall in love with his homeland. His passion for sharing India's rich cultural heritage and his amiable personality have endeared him to thousands of visitors he has guided over the years. Disclaimer: This tour is recommended by Krishna Village, but booked through and delivered by Bohemian Tours. Krishna Village is not responsible for or involved with your booking, payment or travel experience. Bohemian Tours was the best tour that I have ever experienced (take my word for it or not, I'm only 27 and have been to 27 countries and multiple tours)! You just can't find people like Mukesh and Chanchal so easily in this world anymore! The bus and the tour guides made the trip what it was, even the most simplest parts of the trip, the atmosphere made this trip phenomenal! Mukesh and Chanchal don't just guide you around India, they take you in as if you were family or long time friends, they get to know you and by getting to know you, they guide the trip around you and that simple gesture enhanced the trip that much more. They were able to provide for everyone! This trip was a renewal to me after having gone through some serious life transitions and there is nothing I would have changed! This trip changed my perspective on life and it renewed me and it can renew yours!!! I have brought my students on five separate Bohemian tours to India and Nepal, and more are planned. I suppose repeat business speaks for itself. The guides are genuinely friendly and the organisation is impeccable. I travel without stress knowing that my group is in good hands. I get skeptical about booking group tours while traveling, however this was different. Our guide Mukesh had incredible positive energy and really made this experience an unforgettable one. Our group became a family. The entire itinerary was incredible, the sties, the activities, the food. EVERYTHING! Thank you Bohemian Tours for an amazing time in India. Tara was also extremely helpful and replied quickly to all of our questions. Bohemian took good care of us :)! I took part in the 12 day Spirits of the Himalayas and it was simply amazing, we couldn't have asked for more. Everything was well organised and the emails answered promptly. I was a fabulous mix between yoga and sightseeing. The places were we stayed were quiet, central and had a very good standard. All restaurants they took us to, served delicious and hygienic food. Our guides Mukesh, his wife Chancal and Nanda couldn't have been more welcoming and attentive, they managed to create an almost family-like atmosphere. The customer service was far above standard. 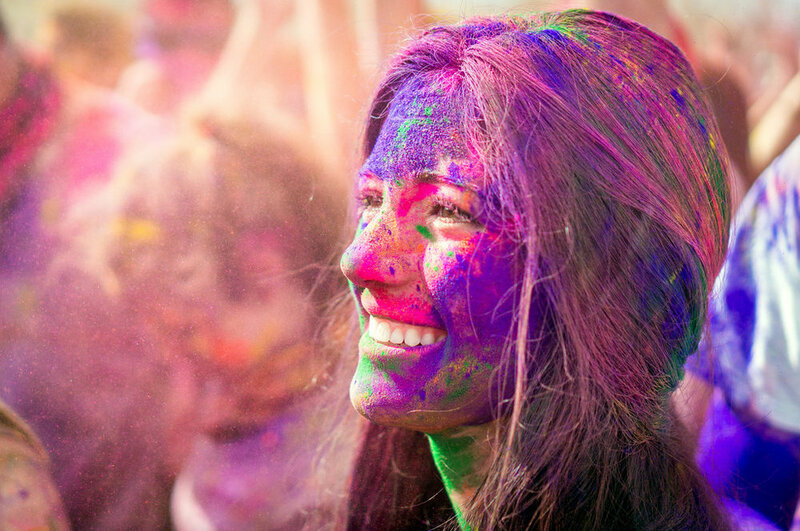 If you have never been to India and travelling solo or as a couple this tour is for you. I will definitely be back.